The picturesque little village of Gruyères is best known the world over for its cheese manufacture but it is also home to two very different museums: one is the slightly sinister HR Giger Museum, full of SciFi models and paintings. 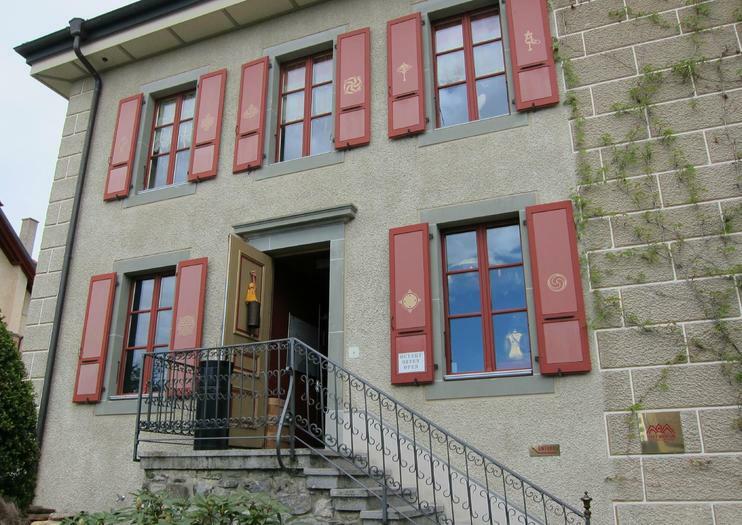 The village’s second revelation is right next door; the Tibet Museum specializes in spectacular historic art from the Himalayan region and is tucked away in the renovated Chapel of St Joseph in Gruyères’ medieval heart. Founded in 2009, the Tibet Museum showcases Buddhist iconography, textiles, gleaming golden statuettes and ritual artifacts that were lovingly collected over 30 years by Alain Bordier. Displayed in half-light to a background of serene music, the antique furniture and decorative pieces are of the highest quality from across Himalayan Asia, with many more than 1,500 years old. Rue du Château 4, Gruyères. Open Easter–Oct daily 11am–6pm; Nov–Easter Tue–Fri 1pm–5pm, Sat–Sun 11am–6pm. Admission adults CHF 10; seniors & students CHF 8; children under 16 CHF 5. A combined ticket for the Tibet Museum and the castle costs CHF 17. Best accessed on foot through the pedestrianized village, which can be reached by rail or by car along the E27 motorway, taking the Bulle exit. Visit the Swiss town of Gruyères on a private day trip from Geneva for up to 15 people, depending on option selected when booking. Accompanied by a private guide, enjoy the chance to walk through the medieval village, admire the castle, learn about Gruyère cheese and check out a chocolate factory. Hotel pickup by private vehicle is provided.